Today, RAID arrays have a great number of drives and have complicated structures (combined and proprietary levels) while several members of a RAID can have serious physical damages (damaged surfaces, HSA, servo-information, etc.). The file system metadata of the RAID can be also damaged. These problems may also occur simultaneously. The Data Extractor Express RAID Edition is a professional instrument that has a wide range of functions for solving all major problems completely. 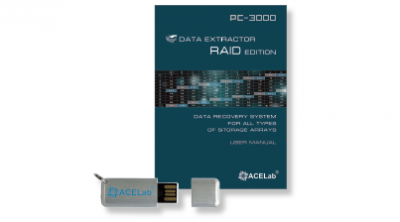 The Data Extractor Express RAID Edition can work with four damaged HDDs connected to the PC-3000 Express ports within one task at the same time. The total number of connected HDDs can be increased by using motherboard ports and file-images. 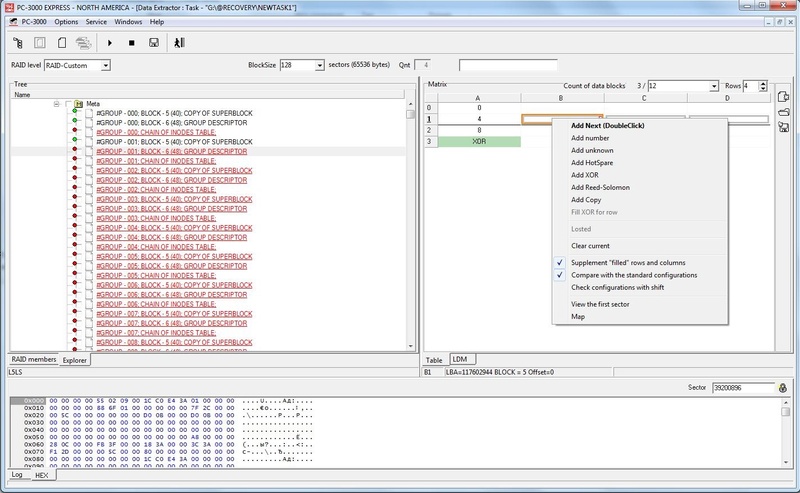 Before the Data Extractor Express RAID Edition appeared, you would have had to have made a full sector-by-sector copy of the data from the simple stripe if one of its members was physically damaged and could not be connected in a standard way, or it would not have been possible to get access to its sectors without using the PC-3000 Express or PC-3000 SAS methods. You could only have attempted to recover the user data after creating a copy. For the built map, build a “Sub-map” of sectors to be read from the damaged HDD. Even if you know the full configuration of a RAID and there are no problems with the damaged HDD, recovering data from a RAID can be a complicated task for multiple reasons: a large number of drives which need to be connected simultaneously, slow read speeds, impossibility to assemble an unusual array configuration, or logical damages.